The Story Of Tom Crean, Ireland's Antarctic Hero. The information brought to you on this website has been made possible by those who have researched and chronicled a remarkable story. Centenary Expedition with the Crean family. 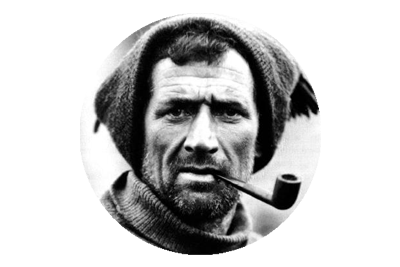 Honouring Tom Crean is a new book that charts the expedition by descendents of Kerry Antarctic explorer Tom Crean, to South Georgia on the centenary of his heroic traverse of the island with Ernest Shackleton and Frank Worsley. In Honouring Tom Crean: a centenary expedition with the Crean family, Bill Sheppard records the expedition he undertook with family members of the Antarctic explorer on the centenary of the Kerryman’s historic traverse of South Georgia with Frank Worsley and captain of the Endurance, Ernest Shackleton. Wishing to honour their renowned grandfather and great-grandfather, the Crean O’Brien family decided to retrace his footsteps on the thirty-six hour traverse that finally brought the three men to Stromness whaling station and salvation after months of being stranded in the frozen ice. The book details the training and funding challenges Team Tom Crean faced in the year before departing Ireland for Antarctica. Once on the Shackleton Traverse, they believed they were finally close to completing their lifelong dream when disaster struck and Aileen had an accident that resulted in members of the Crean family, along with Bill, again being tested to the limits of their endurance on South Georgia. Over many days, they faced physical and mental challenges which, Bill writes, they sometimes struggled to overcome. 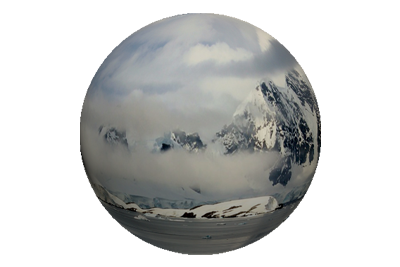 In their darkest hours, however, the spirit of the man they had come to Antarctica to honour inspired them to endure and to not give up. A century on, Bill Sheppard shows that Tom Crean’s character lives on, not just in his descendants but also in a very real way in the place where he made Polar history. Extreme Decision Making Lessons from the Antarctic. To those of us that engross ourselves in the captivating histories of the expeditions of Antarctic exploration, it is all very matter of fact. We know the ships, the men, the tragedies, the triumphs, the many tales of heroism and the prerequisite hardships. Shackleton came agonisingly close in 1907, but Amundsen won the ‘race’, beating Scott to the South Pole, in December 1911. Scott had never subscribed to the race nonsense, but nonetheless arrived in second place, on January 17th 1912. “Great God this is an awful place”, he opined. It truly was. And the awfulness of the most hostile continent on the planet, had yet to truly bare it’s teeth. Amundsen had quite effectively used dog teams to bridge the distance, whereas Scott had opted for the more cumbersome components of ponies and man hauling. 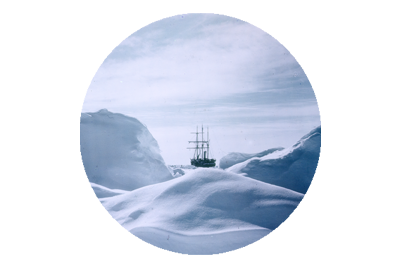 Amundsen and his team, returned to their base camp, 10 days ahead of schedule, whilst Scott’s party never made it back, dying in wretched circumstances, on the Ross Ice Shelf. Before the remnants of Scott’s expedition had even left the continent aboard the Terra Nova, in January 1913, Douglas Mawson’s, Australasian Antarctic Expedition, was writing the next grisly chapter in Antarctic exploration. 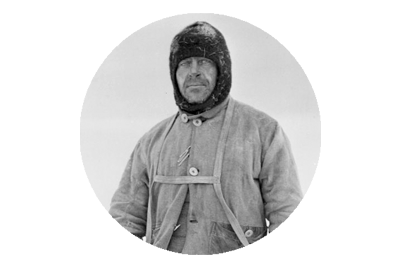 Mawson had turned down the opportunity to join Scott, instead deciding to explore King George V Land and Adelie Land. What ensued for Mawson, Ninnis and Mertz, was a tale of tragedy, madness, death and survival. Then came Shackleton again, in 1914. The Endurance Expedition, was exactly what it said on the boat. Ignored advice, trapped in the ice, life on the ice, escape from the ice, cold, hunger, sickness, isolation, deprivation, amputation, determination, formulation, one last voyage, one lifeboat, six men, eight hundred miles of Weddell Sea, South Georgia reached, a mountainous range for three to traverse, salvation at last on reaching Stromness, and eventual rescue, after months of attempts.